The Taxpayer Advocate has issued a Report to Congress on its Fiscal Year 2012 Objectives (6/30/11). Taxpayer: Dr. Arvind Ahuja of Greendale, Wis.
Omitted Income Charged: $1.2 Million in Interest.. I will update the spreadsheet sometime this week. 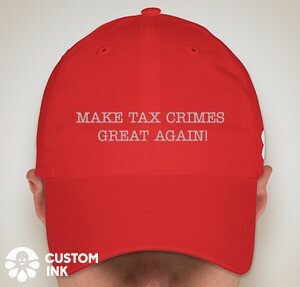 Addendum on 7/15/11: For a report of the hearing in which he pleaded not guilty, see David Voreacos and Marie Rohde, HSBC Client Pleads Not Guilty to Filing False Returns to Tax Authorities (Bloomberg 7/14/11). While it is fun and sometimes profitable to dump on offshore tax havens for their secrecy, we should remember that some of the secrecy benefits of offshoring can be achieved onshore. See Kelly Carr and Brian Grow, Special Report: A little house of secrets on the Great Plains, Reuters 1/28/11. To quote the well known commentator on the human condition: "“Let any one of you who is without sin be the first to throw a stone at her.” John 8:7. The USAO SDNY press release is here. The plea agreement is here. Taxpayer: Kenneth Heller, Age 81. Banks : UBS AG and Wegelin & Co. Guilt: By Plea Agreement - tax evasion (3 counts - maximum potential incarceration 15 years). Other Charges and Potential Charges: If from the underlying conduct they are either dismissed if charged or will not be charged. But, "this Agreement does not bar the use of such conduct as a predicate act or as the basis for a sentencing enhancement in a subsequent prosecution including, but not limited to, a prosecution pursuant to 18 U.S.C. §§ 1961 et seq." Tax Loss: Not specified, but plea agreement requires that, by sentencing, defendant file accurate returns for 2007 and 2008. The agreement further requires defendant pay taxes "on such terms and conditions as will be agreed upon between the defendant and the IRS." Sentencing Factors: Base offense level of 20 (based upon tax loss of between $400,000 and $1,000,000); sophisticated means +2; acceptance of responsibility -3 (but Government can contest if by and during allocution he does not accept responsibility); criminal history category I; indicated sentencing range 30-37 months; the Government agrees that a sentence below the Stipulated Guidelines Range is warranted in this case. Thomson Reuters Press Report of 6/27/11. In the OVDI 2011 program, the "in lieu of" penalty is determined by multiplying an amount which I shall call here the penalty base (generally speaking, the highest aggregate value the U.S. tax noncompliant foreign assets, both financial accounts and otherwise) times a percentage. The percentage is 25% but may in special cases be 12.5% (see FAQ 35 ) or 5% (see FAQ 52). Mitigating the penalty, therefore, can be accomplished by achieving one of the lower percentages. Mitigating the penalty also can be accomplished by lowering the penalty base to which the percentage applies. Regarding the penalty base, it is important to keep in mind that, for purposes of the OVDI 2011 penalty, the penalty base includes not only the foreign financial accounts (the only type of assets reported on the FBAR) but also other foreign assets, not otherwise reportable, which are U.S. tax noncompliant (either with respect to the money used to acquire the other foreign assets or the income from the other foreign assets). The question I raise here is the ways that the penalty base can be lowered. (b) Specific instances of conduct. Specific instances of the conduct of a witness, for the purpose of attacking or supporting the witness' character for truthfulness, other than conviction of crime as provided in rule 609, may not be proved by extrinsic evidence. They may, however, in the discretion of the court, if probative of truthfulness or untruthfulness, be inquired into on cross-examination of the witness (1) concerning the witness' character for truthfulness or untruthfulness, or (2) concerning the character for truthfulness or untruthfulness of another witness as to which character the witness being cross-examined has testified. See also the Notes to the Rule. Most long-term readers will recognize the name Rigas. Rigas family members looted Adelphia Communications Corporation. Those members were prosecuted for their misdeeds. I have previously covered some of the issues in those Rigas prosecutions here. After being convicted of financial crimes related to their looting of Adelphia, the Rigases were prosecuted for tax crimes. By Memorandum and Order dated June 14, 2011, the District Court rejected the Rigases' claims in the tax prosecutions the their Fifth and Sixth Amendment rights had been violated by the Government's actions in putting pressure on Adelphia to fire the Rigases before the first prosecution. United States v. Rigas, 2011 U.S. Dist. LEXIS 66147 (MD PA 2011). The Rigases sought support in the Stein case where the Court dismissed 13 defendants for prosecutorial abuse of forcing KPMG to withdraw attorney fee support. See United States v. Stein, 435 F. Supp. 2d. 330 (S.D.N.Y. 2006), eventually affirmed United States v. Stein, 541 F.3d 130 (2d Cir. 2008), here. The Court rejected the Rigases' claims because the constitutional violations, if they occurred, occurred prior to the first prosecution wheter the claims should have been but were not presented. The U.S. could try to bar certain foreign banks from the federal banking system for helping American citizens evade taxes through offshore accounts, a prosecutor said. Kevin Downing, who led the prosecution of UBS AG (UBSN) in 2009, said the Justice Department’s tax division is reviewing correspondent accounts used by foreign banks without a presence in the U.S. Prosecutors could take action against some of those banks, Downing said yesterday at a New York City Bar Association event. In United States v. Hillman, 642 F. 3d. 929 (10th Cir. 2011), here, the defendant was "convicted of several crimes arising from a scheme to steal hundreds of thousands of dollars from an insurance company for which he worked." The counts of conviction were: "one count of conspiracy to engage in money laundering (18 U.S.C. § 1956(h)), five counts of money laundering (18 U.S.C. §§ 1957(a) & 2), and one count of false statements to a federal law enforcement agent (18 U.S.C. § 1001(a)(2))." The false statements were made to an IRS Agent. The defendant raised several issues on appeal, but I focus on the deliberate ignorance issue. I have previously written about deliberate ignorance, which goes by several different names such as conscious avoidance etc. See prior blogs here. The jury was properly instructed that it could convict based on defendant's own knowledge. The judge also instructed the jury that deliberate ignorance would suffice to establish the knowledge requirement. The jury returned a general verdict of guilty on each count. Defendant complained on appeal that the trial court should not have instructed the jury on deliberate ignorance. You will recall that all courts say that the deliberate ignorance instruction is to be rarely used, but sustain its use in appropriate cases. The defendant's point was that it was inappropriately used in this case and that, if so, the guilty verdict should be reversed because it could have been based on the inappropriate instruction. I write today about a recent case, United States v. O'Doherty, 643 F.3d 209 (7th Cir. 2011), here, about a commodities trader who "paid for the services of a fraudulent tax consultant, and, under that individual's guidance, he did not file individual income tax returns for the better part of a decade." O'Doherty claimed that the Government violated the plea agreement by raising relevant conduct for noncharged years. The Court applied a straightforward contractual interpretation of the plea agreement to reject that claim. O'Doherty claimed also that his tax fraud did not involve sophisticated means. The Court rejected that applying a standard interpretation of sophisticated means. I think the more interesting issue on appeal was the issue of how the Probation Office determined the tax loss in the PSR. Yet another plea was entered yesterday. The DOJ Tax Press Release is here. The key facts form the DOJ Tax Press Release and the Plea Agreements (below) are. Taxpayers: Sean Roberts & Nadia Roberts, husband and wife. Banks : UBS AG, an unnamed Isle of Man Branch of UK bank, an unnamed Lichtenstein bank, an unnamed Hong Kong bank, an unnamed bank in New Zealand and an unnamed bank in South Africa. Guilt: By Plea Agreement - Tax Perjury (one count). Cooperation: Agreement to cooperate in (i) determining tax liability for 2003 forward (note the tax loss and restitution are just a floor. ); and (ii) in "investigation and proseuction of other individuals involved in possible violation of federal and state law." The latter is coupled with the usual non-committal 5K1.1 departure for cooperation. FBAR penalty: 50% of highest amount for one year. W reside in Europe. H is not a U.S. Citizen; W is a U.S. citizen. H has accounts in which he has all beneficial interest under the local law of the country in which they reside. W is listed as an account owner on his accounts, but in fact that is just to give her access to the funds if something happens to H. It is designed to serve as a testamentary disposition to W in the event of H's death; it could also serve as a way for W to access the funds for H's benefit in the event of H's becoming incapacitated. W made no deposits into the accounts, made no withdrawals, and has done nothing with the accounts and is not expected or authorized, as between W and H, to do so until those events. Bottom line, the mechanism of naming W as an account owner at the bank does not give W any ownership interest in the account. It does permit the bank to take instructions from W (including withdrawals). The question is how W must make an FBAR report? I think all of us recognize instinctively that the FBAR requirement was designed to flush out a report from W, because W certainly has signature authority over the account. I address here how W reports on the form because there has been some confusion about that. For those not interested in the details, here is the bottom line. W should report on Part III in this instance and, if W were the sole title owner (but not beneficial owner), W should report on Part II. There is some nuance behind this bottom-line, so the following discussion may be important to some. I present for readers another charge against yet another UBS depositor. This time the case is United States v. Robert E. Greeley (N.D. CA CR 11 0374 CRB). The case is apparently assigned to Judge Charles R. Breyer, brother of Supreme Court Justice Stephen Breyer. The charge is by information which suggests that there is a plea deal afoot. The charge is to one count of tax perjury for the year 2008. The bank is UBS. I know of little else when this blog is first posted, will add key points to this blog as I learn them. There is some buzz in the community that persons making quiet disclosures are being moved into the OVDI 2011 process. While the information I have received to date is only sporadic and anecdotal, I thought it would be helpful to review the statute of quiet disclosures for foreign financial account tax and FBAR noncompliance. I assume that readers of this blog are very familiar with the two successive programs -- OVDP 2009 and OVDI 2011. Many taxpayers who wanted to get into compliance felt that the civil penalties offered under these programs were too harsh under their facts. As I and commenters discuss in Opting Out of the IRS 2009 OVDP and 2011 OVDI (6/14/11), taxpayers could get into the program, achieve its principal benefit of no prosecution, and opt out to try to present the equities of their situation as a basis for achieving lesser penalties than offered under the programs. The fear among practitioners and taxpayers is that the IRS will harshly treat the taxpayers opting out. Certainly, for administrative purposes, the IRS wants to create significant risks to opting out in order to encourage the critical mass of taxpayers to stay in the program where the processing costs per taxpayer are significantly less than will be obtained in processing the audits and post-audit processes (including appeals and litigation) of taxpayers opting out. As to foreign financial accounts, the draft Form 8938 would require more information than required by the FBAR (at least current and past iterations of the FBAR). Specifically, it asks if the account was opened or closed during the year. Part I, 1c(1) & (2). It also asks information about the conversion to U.S. dollars in stating the maximum amount. Part I, 1f. The draft Form 8938 goes farther than the FBAR in requiring information about "Other Foreign Assets" -- assets other than financial accounts -- and asks for similar information about these assets. Part II. The draft Form 8938 asks for a "Summary of Tax Items Attributable to Specified Foreign Financial Assets." Part III. I suppose this is a gentle reminder to taxpayers to report those items elsewhere on the return and a roadmap for where they are reported. The draft Form 8938 asks taxpayers to identify foreign financial assets excepted by other forms (such as Form 3521, 5471). Part IV. Matthew Krane, a tax attorney involved in the Quellos matter, has been sentenced. (I have previously blogged about Krane here and Quellos here.) Specifically, I discussed the bizarre facts of the Krane prosecution here. Krane has been sentenced to 36 months and must (i) return $17.9 million in fees to a wealthy former client and (ii) pay $23.1 million in back taxes. The relatively light sentence was "reward" for Krane's cooperation. Tax gadfly Lee Sheppard reviews a new book on Tax Havens by Nicholas Shaxson, Treasure Islands: Uncovering the Damage of Offshore Banking and Tax Havens (Palgrave Macmillan, 2011). See Lee A. Sheppard, A Tax Haven by Any Other Name, 131 Tax Notes 1111 (June 13, 2011). The review and the book are both worth reading for those interested in this area. Sheppard and Shaxson note that the tax havens not serve as tax havens but also regulation havens where risky and often criminal financial behavior can go unregulated. The Tax Justice Network's Financial Secrecy Index ranked the United States as the world's principal secrecy jurisdiction, based on how secretive it is in global finance relative to the services offered. Luxembourg was second, Switzerland third, and the Cayman Islands fourth. The United Kingdom ranked fifth, based on mainland transparency, despite its haven spider web. There are news reports that the U.S. and the Swiss Government are in negotiations regarding a multi-bank settlement regarding Swiss bank's participation in U.S. tax evasion. The source report I have seen to date is Lynnley Browning, Swiss, U.S. in talks on tax probe settlement -sources, Thompson Reuters News & Insight (6/9/11); see also Randall Jackson, U.S., Switzerland Negotiating Expanded Tax Evasion Settlement, 2011 TNT 113-6 (6/13/11); see also Randall Jackson, U.S., Switzerland Negotiating Expanded Tax Evasion Settlement, 2011 TNT 113-6 (6/13/11) (which I extrapolate may be based at least in part on Browning's article). The takeaway for U.S. taxpayers playing the offshore financial account game -- particularly with Swiss banks -- who have not done a voluntary disclosure (OVDP or OVDI), the risk/reward ratio is rising. Now is the time to reconsider whether to join the OVDI. Of course, after the OVDI ends in August 30, 2011 (subject to the good faith extension to obtain the necessary documents), the IRS may still permit taxpayers to come into a voluntary disclosure program but the costs will likely rise significantly. In Dingman v. Commissioner, T.C. Memo. 2011-116, while the taxpayer was under criminal investigation, the taxpayer's attorney delivered delinquent returns and checks for some of the tax due to the IRS criminal investigation special agent. The IRS processed the checks and credited the amounts to his account on February 19, 2003; what exactly happened procedurally to the returns is unclear. On February 26, 2006, the IRS assessed a Section 6651(f), fraudulent failure to file, penalty. Bottom line, the court held that February 19, 2003 was the latest date that the returns were filed (by inference from the fact that the checks were credited that date) and thus that the ultimate assessment was untimely. The Chicago Tribune reports on the consequences of BDO Seidman's love affair with the Daugerdas shelters. See Ameet Sachdev, Tax shelters put BDO Seidman in middle of firestorm with federal prosecutors, Chicago Tribune, Business (6/4/11). It is interesting to consider what additional retribution, if any, the Government may visit on BDO now that its former chief executive, Denis Field, has been convicted and others down the BDO food chain have pled. For all of the firms participating in this genre of shelters, one has to ask where the gatekeeper was or the gatekeepers were. Was anyone concerned about the well-being of the firm? Someone has asked that question about Jenkens & Gilchrist, the Dallas based firm with national ambitions that drove it to expand, inter alia, into Chicago and pick up the now disgraced and convicted tax shelter promoter par excellence, Paul Daugerdas. I have written about Daugerdas before and want to discuss here a variation of the Jenkens & Gilchrist story recounted in a recent article, Milton C. Regan, Jr., Taxes and Death: The Rise and Demise of an American Law Firm, STUDIES IN LAW, POLITICS AND SOCIETY: LAW FIRMS, LEGAL CULTURE, AND LEGAL PRACTICE, Vol. 52, pp. 107-144, Austin Sarat, ed., JAI Press 2010; Georgetown Law and Economics Research Paper No. 11-08. 25.1 (New). Provides for good faith extensions to the 8/31/11 deadline. 51 (Updated) Discusses the Opt Out procedure. Reminds taxpayers that Opting Out will entail a full scope examination in which taxpayers must cooperate to get the benefit of being in the VD program and that, if additional issues not disclosed are found, CI might institute a criminal examination. 51.1 (New) Gives examples of when it might be favorable to opt out. 51.2 (New) Gives examples of when it might be favorable not to opt out. 51.3 (New) Another reminder that the audit from an an opt out may identify other noncompliance which, if not disclosed by the taxpayer in his or her OVDI submissions, could result in criminal investigation and possible prosecution. The doctrine of willful blindness is well established in criminal law. Many criminal statutes require proof that a defendant acted knowingly or willfully, and courts applying the doctrine of willful blindness hold that defendants cannot escape the reach of these statutes by deliberately shielding themselves from clear evidence of critical facts that are strongly suggested by the circumstances. The traditional rationale for this doctrine is that defendants who behave in this manner are just as culpable as those who have actual knowledge. Edwards, The Criminal Degrees of Knowledge, 17 Mod. L. Rev. 294, 302 (1954)(hereinafter Edwards) (observing on the basis of English authorities that “up to the present day, no real doubt has been cast on the proposition that [willful blindness] is as culpable as actual knowledge”). It is also said that persons who know enough to blind themselves to direct proof of critical facts in effect have actual knowledge of those facts. See United States v. Jewell, 532 F. 2d 697, 700 (CA9 1976) (en banc). Observers of the IRS offshore financial account initiative have known for a long time that the IRS had its sights on enablers (persons who promoted and enabled taxpayers into offshore accounts for U.S. tax evasion purposes). In the template letter required in the two programs, participants were required to identify enablers. Then IRS then took that information and built databases of names and relationships that could identify the signficiant enablers. At least anecdotally, practitioners observed that the IRS seemed to be particularly interested in enablers who had some U.S. presence -- particularly, as in the case of the UBS enablers, those who moved into and out of the country in stealth mode to sell their evasion services. This is probably not new to most of the professional readers of this blog. In a very good article, a Bloomberg Business Week reporter discusses some of the IRS's efforts. The article is David Voreacos,The IRS Grills Taxpayers on Offshore Accounts, Bloomberg Businessweek (6/2/11). It is not a long article and is well-written, so I just link to it for you. I write today to provide viewers access to Jasper Cummings' article, Jasper L. Cummings, Jr., Economic Substance Doctrine Felonies, 131 Tax Notes 977 (May 30, 2011) and 2011 TNT 104-10 (5/31/11). (This article is provided with the permission of Tax Analysts.) Mr. Cummings writes on the use of the economic substance doctrine in criminal tax cases. Most particularly, he writes about Mr. R. J. Ruble who was convicted in the first round of Son-of-Boss criminal prosecutions. In that case, Ruble, a tax lawyer, was convicted along with John Larson and Bob Pfaff who provided financial services in the conceptualization and implementation of the shelters. Two prominent subsequent shelter prosecutions have also used the economic substance doctrine in the charges to the jury. First, let me disclose that I represented one of the dismissed defendants in the sprawling prosecution that ended up in the conviction of Messrs. Ruble, Larson and Pfaff. Once my client was dismissed along with 12 others before trial, I no longer had an immediate interest in the case but I did observe the progress of the proceedings through conviction and appeal and now pending petition for certiorari in the Supreme Court. I was particularly interested in whether and how the economic substance doctrine would be presented to the jury. All of this is laid out (or at least suggested) in the Joint Committee on Taxation, Explanation of Proposed Protocol to the Income Tax Treaty Between the United States and Switzerland (JCX-31-11), May 20, 2011. I recommend this report as an excellent summary of the issues with Switzerland and an historical summary of the developments in this area.